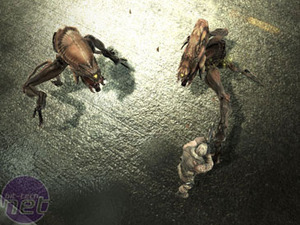 The Area 51 games and I go waaay back, all the way to the original arcade light-gun game which devoured all the 50 pence pieces I had stolen from my brother’s piggy bank and left me with nightmares for a week. Zombies in luridly coloured overalls jumping out from around corners with machine guns? Freakish looking aliens? Area 51 had it all, rendering everything with a weird digitized video effect that made the game as odd to behold as it was fun to play. Receiving only mediocre reviews, Area 51 was a bit of a disappointment compared to my fond childhood memories of the arcade classic. It wasn’t exactly a bad game, but the potential was there for so much more and, while the game had a well-crafted cinematic feel, it was a let down in other areas of gameplay. I was a little surprised then to learn that the series was being carried on and that, more astounding, that sequel was Blacksite: Area 51. I was surprised because Blacksite is a game I’ve been following quite closely but one that I hadn’t linked to the previous Area 51 game thanks to the subtle name change. It turns out though that this was a deliberate attempt on Midway's part to try and separate Blacksite from its predecessor, something it has done by changing more than just the name. First up on the list of changes is the new lead developer who is heading up Blacksite’s design – none other than Harvey Smith, who worked on both the fabulous Deus Ex and Thief series’. Smith has lead the project in a different direction to Midway’s first Area 51 game and has worked to create a sequel that tells a new story in the same game-world and is distinctly its own game, without any of the Shock-rock voice stylings of the first game. 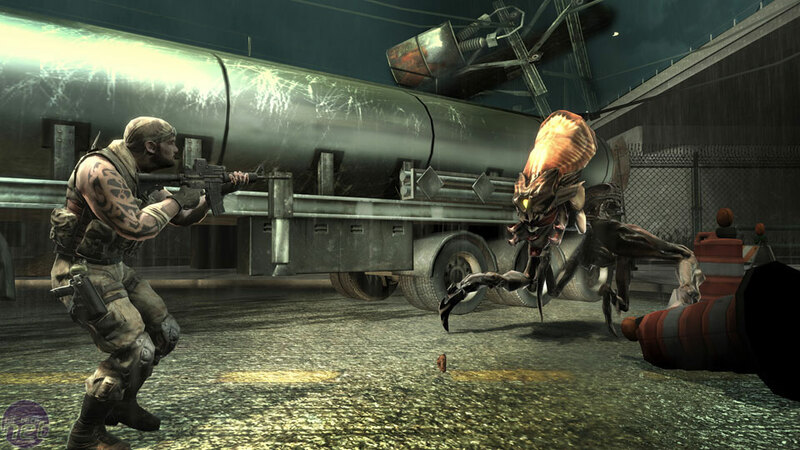 Blacksite may then be able to shake off the mediocre bindings of its heritage and create a new, more enticing starting point for the alien-infested series. 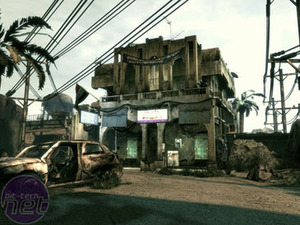 With a gorgeous engine based on the same UE3 system used in Stranglehold, a simple squad interface that puts teams of soldiers at your disposal along with a new plot and perspective that places players as the globe-hopping Delta Force soldier, Aeran Pierce, Blacksite: Area 51 is certainly looking like it could be quite a smash. Scheduled to hit shelves on the November 5th of this year for the PC, Xbox 360 and PlayStation 3, Blacksite is going to be facing some stiff competition from the likes of Hellgate: London, so over the next few pages we’ll walk you through Blacksite: Area 51 and see whether it’ll end up as the new alien overlord, or just another freak in a jar.